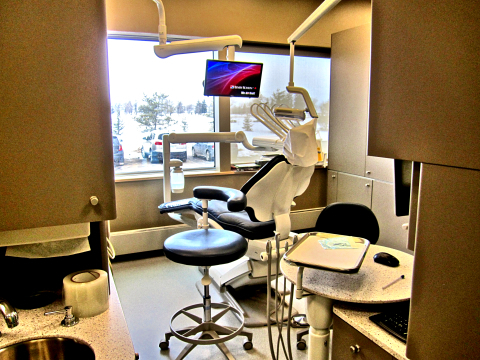 On March first the Tisdale Dental Clinic began operating in the new North East Healthplex attached to Tisdale's hospital. Work continues both on the inside and in front of the building where it's main entrance is so dental patients are parking behind and using the rear entrance to access the main gallery of the building. 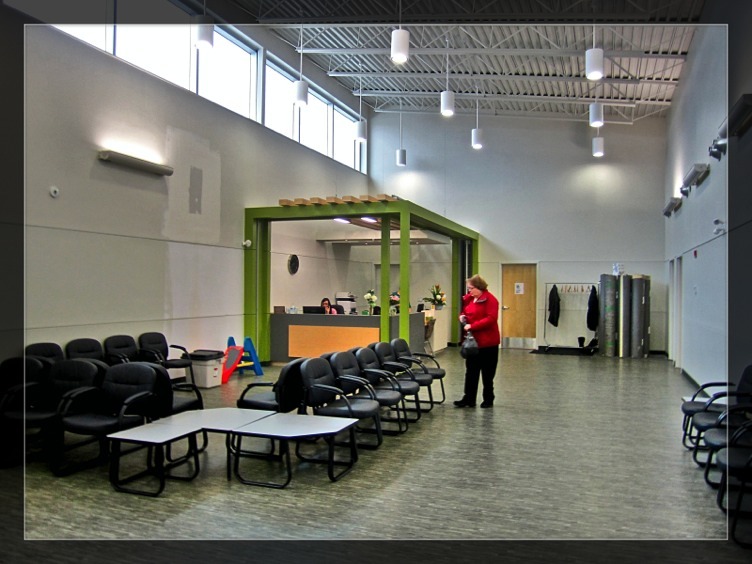 As you can see from these pictures this is a very handsome structure with lots of natural light and a feeling of open spaces. 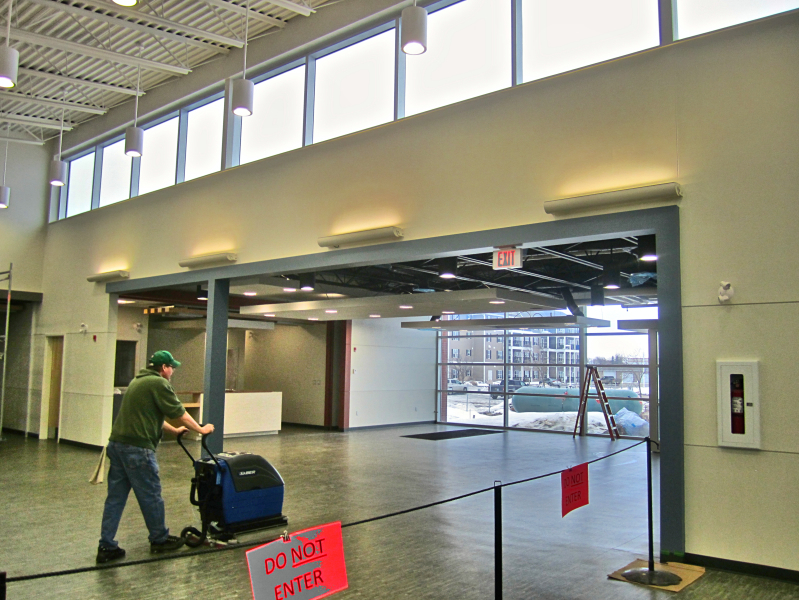 No doubt the open floor spaces will soon fill a bit when the other services move in to their respective facilities. 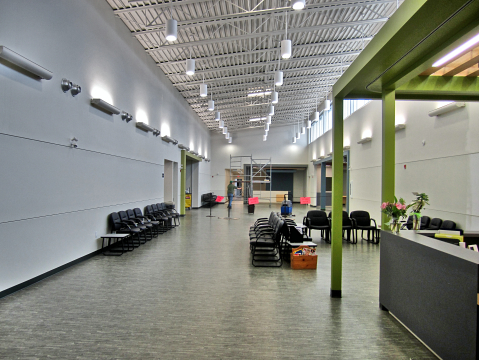 You might want to check out the Town of Tisdale's web site to see the floor plan of this impressive facility. 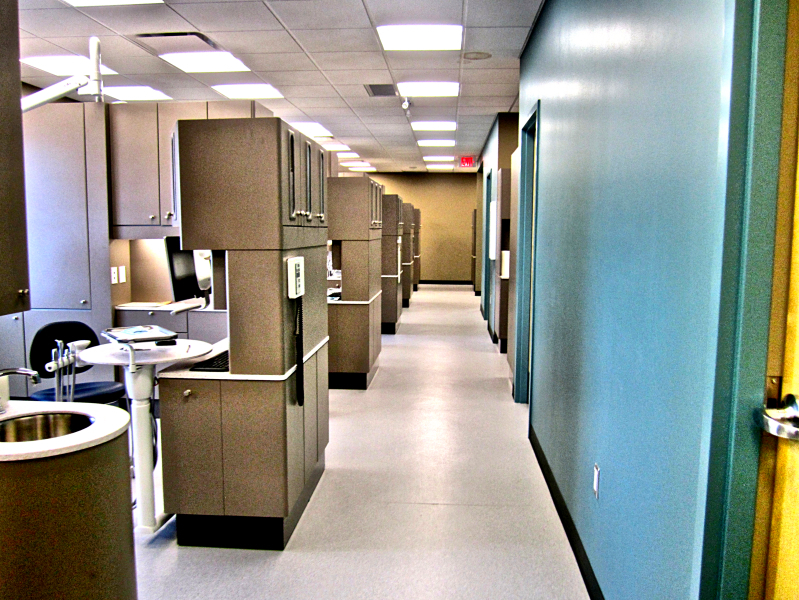 The dental office is seen in the picture at the top of the page and has no direct link into the work stations behind the wall. You enter a door and pass down a short hallway to the row of treatment centres that you can see in the picture at the bottom of the page. Each treatment suite is fitted out identically with the modern digital X-ray equipment stowed in the cupboards that divid up the space. Over head there is the usual light and above each chair is a video monitor where the patient's X-rays can be displayed. 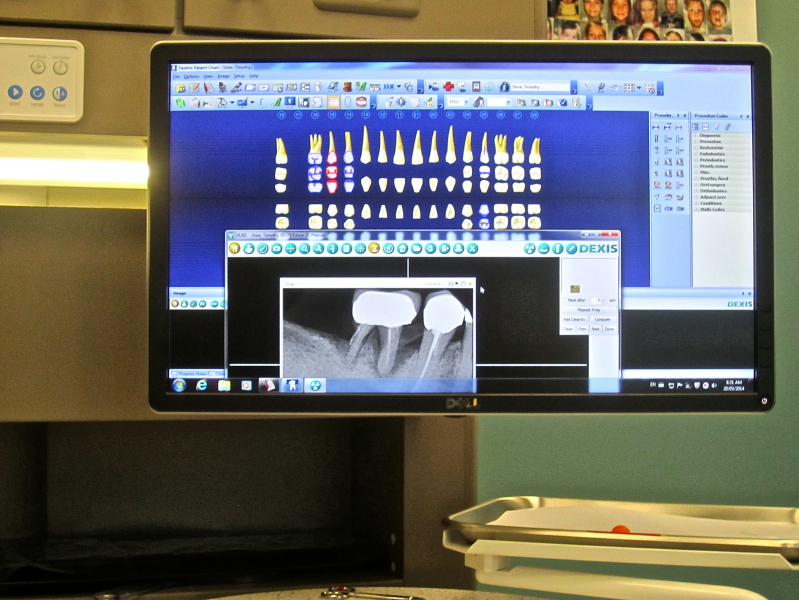 The monitor below is the one used by the dentist and as you can see it will only be a short time until paper files and records will be a thing of the past. It is unlikely if new patients will even have paper files created but will go directly into the system. The advantage of course is that X-rays and other images can be stored with these records and as uch can be transferred from treatment location to another. 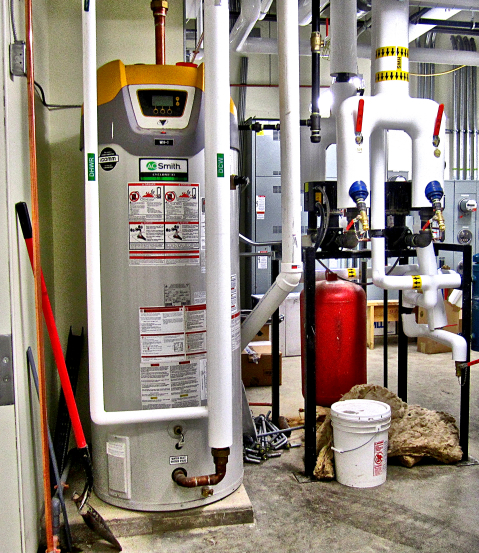 This image of one of the service rooms that support the complex illustrates the extent of the planning and the state of the art equipment in place. With such excellent planning it is surprising that no provision was made to include a pharmacy right within the building. After seeing you doctor you will have to arrange for transport downtown to get your prescriptions filled. In a town without public transport and such remarkable lack of parking this seems like the planners may be a bit detached from the real world. As you may know there is a bus especially designed to transport seniors and people in wheel chairs but that service costs an astonishing $14 one way and then the rider is charged an additional fee as the bus waits on them. So if you were in the McKay tower it would cost you $14 to go over to the HealthPlex then a waiting fee of $1.00/ten minutes then $14 more to get back home. That is not "public" transport, that is extortion.